Live in one side and rent the other to help pay the mortgage. 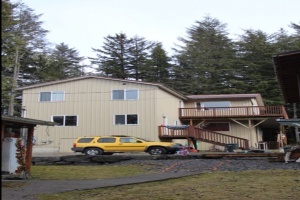 This duplex has a 3 bedroom 1.5 bath unit and a 4 bedroom 2 bath unit with a family room and a small space for an office or craft room or just for storage. Both units are well insulated and have electric heat and 2nd story decks. The building has low maintenance metal roof and siding.